Küstenverteidigungsgruppe Lesneven runs from St-Éden north of Plouescat to the eastern shore of the Aber Benoit at Brouennou. The coast has a low profile, with small Caribbean-like white sandy beaches, and round rock formations. There are two heavily defended areas with heavy armoured bunkers at the river mouths of the Aber Benoit and Aber Wrac'h. 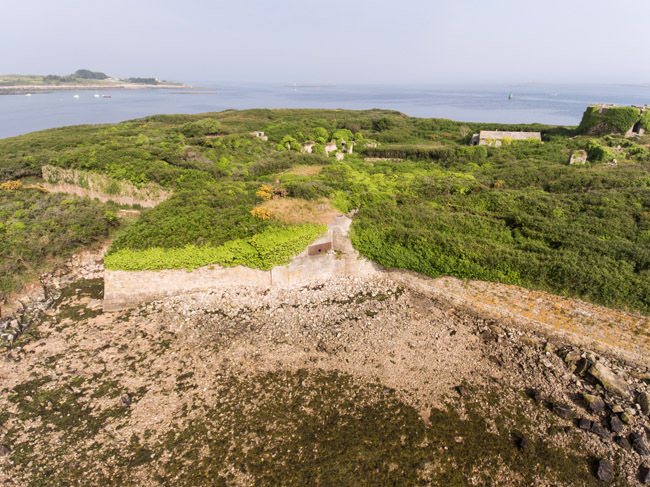 Île Cézon, a fortified island in the heavily defended Aber Wrac'h.